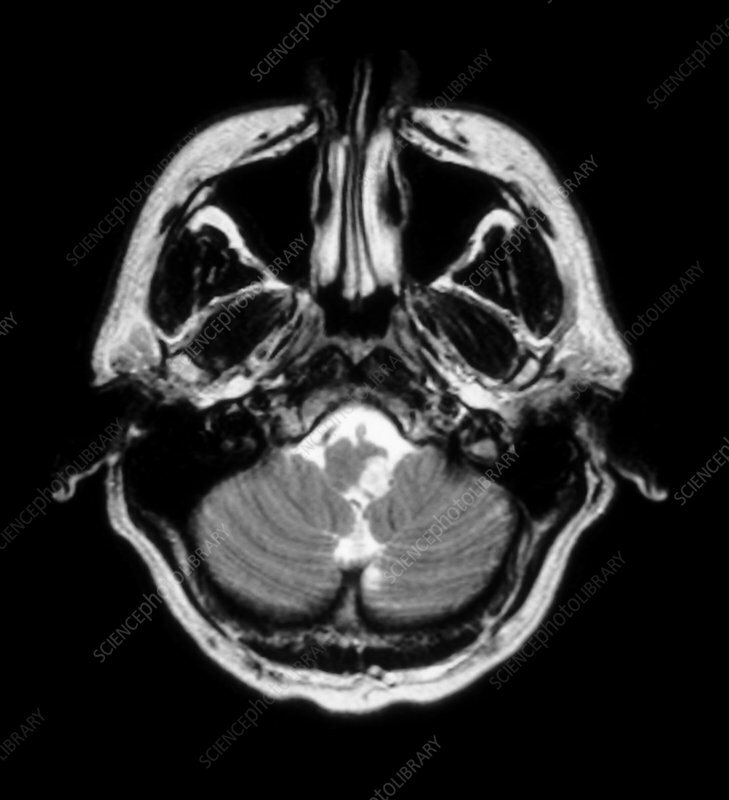 This axial (cross sectional) T2 weighted MRI image through the posterior fossa beautifully demonstrates an acute infarct (stroke) involving the lateral aspect of the medulla (part of the brainstem). This is usally caused from occlusion (blockage) of the vertebral artery or PICA (posterior inferior cerebellar artery). This type of infarct causes a Wallenberg's Syndrome.